Let’s face it, a lot of people think “expensive” equals “best”. Or, that if something is “affordable”, it is somehow lower quality. While that may be the case sometimes, when it comes to finding the best plumber in Sacramento, you can have the best of both worlds! It’s in our name, and we stand by it. Even more important to us than affordability, however, is our promise of service, honesty, and quality. Our first and foremost priority is to provide an accurate and proper solution for your plumbing emergency or plumbing issue. Then, we focus on making sure we offer that solution at the most reasonable, fair, affordable price. See, we aren’t like a lot of plumbing companies out there. Our goal is not to upsell you on repairs you don’t need. Our goal is to identify your plumbing problem, and offer the best solutions and options for you. Always Affordable Plumbing is bringing honesty back to our industry. So much so, that we even offer a 100% no obligation, 100% FREE home plumbing inspection service. This inspection provides you with a top-to-bottom, professional once over of all your plumbing equipment. Included is a detailed report letting you know if we see any problems, potential problems, or maintenance issues. We believe that the best way to save you money is to prevent major issues. Our FREE HOME PLUMBING INSPECTION is designed to give you peace of mind, and allow you to make informed decisions about your home plumbing. If you follow us on FACEBOOK, or on our website, you can keep up to date with our latest articles and tips. These articles focus on providing you with some “Plumber’s Wisdom” on the little things you can do to either fix a small plumbing issue, or prevent one. This can range from HOW TO FIX A RUNNING TOILET, COMMON REPAIRS FOR WASHING MACHINES, and SLOW DRAIN REPAIRS. We love sharing this information with Sacramento because we believe that it is the best way we can help you save money on plumbing repairs. Even if you can’t do the repair yourself, we want you to understand what we are doing, and why. This mentality is just one of the things that makes Always Affordable Plumbing the best plumber Sacramento has to offer! Additionally, Always Affordable Plumbing understands that your plumbing emergencies can happen at the worst possible time! Middle of the night or busy holidays, Always Affordable Plumbing is a PHONE CALL AWAY, 24/7. 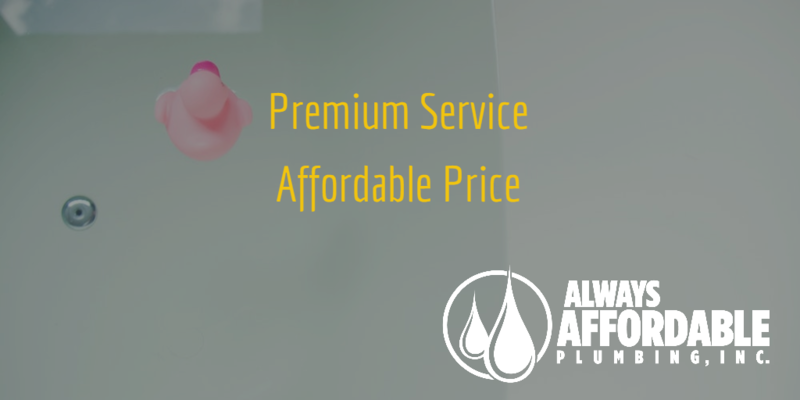 So if you come home to a flooded garage, a flooded laundry room, or even a flooded front drain, you can get your plumbing emergency fixed ASAP with Always Affordable Plumbing. Check out our AMAZING reviews on Facebook to see what people are saying about AAP. Our Plumbing Tips give you some real insight into why plumbing issues happen. Many large issues start with something small. You can usually prevent the big issues by addressing the small issues. The best thing is that small issues are typically inexpensive and fairly easy to handle, even for the novice do-it-yourselfer. Additionally, Always Affordable Plumbing is staffed with professional, certified plumbers, who are experts at everything plumbing, from emergency repair to small simple maintenance items. Big or small, Always Affordable Plumbing has you covered. As mentioned, a lot of big problems start out as something small. What are some of the most common, preventable issues we see? The only thing you should ever flush is toilet paper, and human waste. Read more about it HERE. 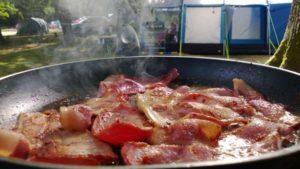 We all love bacon, but the leftover bacon grease just can’t go down the drain! Grease and fats absolutely will congeal and build up in your pipes. This can lead to some majorly backed up drain pipes. ALWAYS store your waste grease and fat in a jar and dispose of it in the garbage once it has cooled. Call Always Affordable Plumbing today for a FREE home plumbing inspection. CALL ALWAYS AFFORDABLE PLUMBING, 24 hours per day for plumbing emergencies. Whether you need a FREE Home Plumbing Inspection, emergency 24-hour plumbing services, leak detection, or have an issue with slow drains, Always Affordable Plumbing is serving Sacramento with the BEST and MOST AFFORDABLE plumbing.